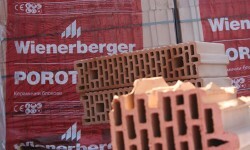 The Austrian brick manufacturer will, according to analysts, report a substantial rise in sales and earnings. The figures will be presented the day after tomorrow. On Wednesday, Wienerberger presents the financial figures for the third quarter. According to UniCredit and Erste Group, sales are estimated to rise by € 1.54bn on average. This would be an increase by 15%. This article includes a total of 175 words.